Army Non Commissioned Officer, SFC Desiree Pabon, Crowned Ms. Veteran America 2018. She will advocate for homeless women Veterans and their children. 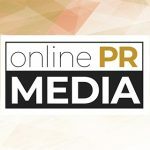 Online PR News – 22-November-2018 – Washington, DC – Be the voice for homeless women veterans is the mission for SFC Desiree Pabon (US Army) who was recently crowned Ms. Veteran America 2018. She competed against hundreds of fellow active duty, reservists/guard, retired military and veterans to be the leading advocate to bring about change to the fastest growing segment of the homeless population - women Veterans. An estimated 55,000 women Veterans are homeless at any given time in the United States. These women take an oath to defend our country, only to return home to not have suitable assistance to help them make the transition from combat to civilian life. The Ms. Veteran America competition shines a light on this epidemic and assists Final Salute Inc. in providing much needed resources. "The Ms. Veteran America title is a door opener and a conversation starter to help advocate for my fellow women Veterans. This competition is more than a sash and a crown - there's meaning behind it. It's about saving and changing lives," said SFC Desiree Pabon. Pabon enlisted in the United States Army immediately after high school graduation. In 2005, she completed Basic Combat Training at Fort Jackson, SC. Currently, Pabon is serving her sixth assignment as the Logistics Management Non-Commissioned Officer in Charge for the United States Central Command at MacDill AFB Florida. The Ms. Veteran America competition supports the national nonprofit, Final Salute Inc. (www.finalsaluteinc.org), provide housing for homeless women veterans and their children. To date, Final Salute Inc. has supported over 5,000 women Veterans and their children in over 30 states and territories, provided over 1,600 housing days and raised over $ million to support homeless women Veterans and their children. Maj. Jas Boothe (CNN Hero and Oprah Winfrey Standing Ovation Recipient) is the founder of Ms. Veteran America and Final Salute Inc. She was prompted to start Final Salute Inc. when she was made aware that no resources existed for homeless women Veterans and their children. Jas was homeless during 2005-2006, due to Hurricane Katrina and her battle with head, throat and neck cancer. No resources existed to help her during that challenging time. Boothe set out to make changes. "Historically, it has always been women who have brought about change for other women; women veteran issues will also take such an approach. Desiree stepped forward to become a voice for a population of forgotten veterans who feel as if America isn't listening to them. She is the epitome of what it means to 'never leave a fallen comrade.' I'm proud to call her my sister," said Major Boothe. Not only does Ms. Veteran America advocate for homeless women veterans and their children, but she serves as a role model, teaching and empowering young women to support, inspire and lift-up one another. To learn more about the Ms. Veteran America competition, please visit their website at www.msveteranamerica.org.